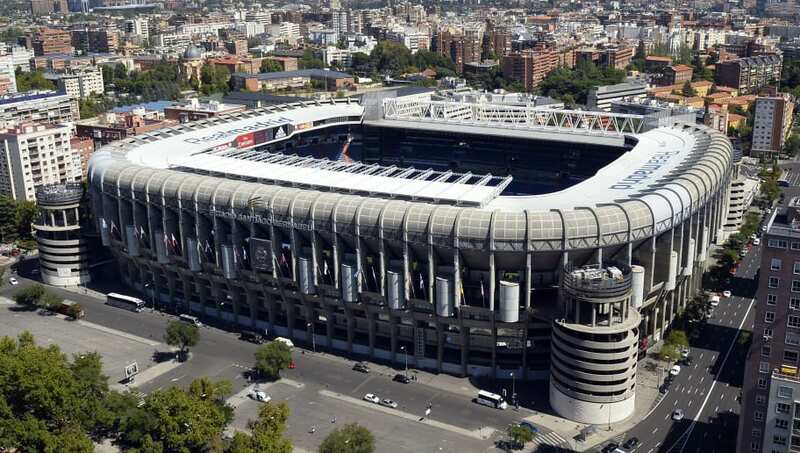 ​Real Madrid have officially launched plans for the redevelopment of the Santiago Bernabeu stadium at a presentation attended by Madrid mayor Manuela Carmena on Tuesday afternoon. There have been previous false dawns for the renovation, but El Pais noted on Monday of this week that there are 'no fears this is not the definitive start'. "This act is the definitive start of the countdown to launch an authentic architectural innovation in our stadium," Perez said at the launch event in the stadium's royal box, via RealMadrid.com. "A Santiago Bernabeu stadium that will become a great avant-garde and universal icon. Located in the heart of Madrid, it will be the best stadium in the world. We are facing one of the great projects of the future for Real Madrid and, of course, it will be also for the city of Madrid." Perez referenced 'maximum comfort and safety', as well as 'state-of-the-art technology'. "A new stadium that will allow us to continue growing and that will be financed with the new revenues that the reform will generate," the club chief added. "The new Santiago Bernabéu stadium will entail an important improvement for the club, but also for its surroundings. And it will allow Real Madrid to remain competitive in an increasingly difficult international football scenario."